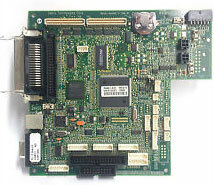 Zebra - Spare Part Main Logic Board (MLB), 4MB for XiIII+ Printers. This is a Zebra printer repair part. The Zebra 34901-030M is also known as ZEB-34901-030M	or 34901030M	.